A British Columbia court of appeal has given the federal government more time to implement new policies for holding prisoners in solitary confinement — but has ordered new conditions in the meantime to limit the violation of inmates' constitutional rights. The British Columbia Court of Appeal has given the federal government more time to implement new policies for holding prisoners in solitary confinement — but has ordered new conditions in the meantime to limit the violation of inmates' constitutional rights. 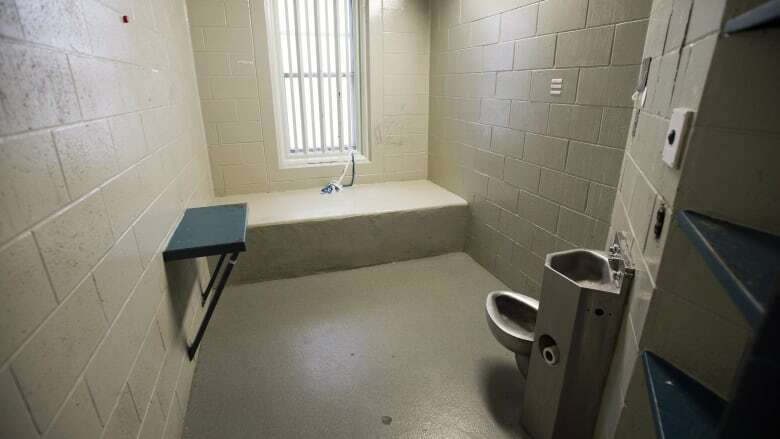 The Charter challenge of Canada's solitary confinement policy was launched by the BC Civil Liberties Association and the John Howard Society of Canada. They argued that keeping inmates in solitary leads to suffering and death, deprives them of fundamental protections and discriminates against mentally ill and Indigenous inmates. In January 2018, the B.C. Supreme Court struck down the federal solitary confinement policy as unconstitutional. The federal government appealed the ruling even as it proposed reform legislation to eliminate the use of solitary. "While we are prepared to extend the suspension of the declaration of constitutional invalidity, that cannot be a justification for the federal government to maintain unchanged the conditions of inmates kept in administrative segregation," Monday's court of appeal ruling says. "Without violating the existing legislation, the government must take steps to deal with constitutional concerns." The federal government's reform bill, Bill C-83, introduces Structured Intervention Units (SIU) meant to house inmates separately when they pose a danger to themselves or others, while still giving them access to rehabilitation, mental health care and other programs. The bill has been reviewed by a House of Commons committee and the government hopes to see it clear Parliament and become law this year. Public Safety Minister Ralph Goodale said he welcomed today's court's decision, which affords more time for reforms to be implemented in "an effective and orderly way." "This additional time will be important as Parliament continues its consideration of Bill C-83, which will eliminate segregation and establish a fundamentally different system focused on rehabilitative programming and mental health care," said Goodale's spokesman Scott Bardsley. "This new approach will allow CSC to separate inmates when necessary to maintain safety, while at the same time ensuring that those inmates receive mental health care, programming and meaningful human contact." Bardsley said policy changes already implemented have dramatically reduced administrative segregation placements — from 780 in April 2014 to 340 in March 2018, a drop of 57 per cent. Giving inmates in segregation an extra 30 minutes of yard time, so they can be outside their cells at least 2.5 hours each day. Requiring daily visits from health care professionals — including visual observation of inmates in segregation — and new procedures for following through on placement recommendations from those professionals. Allowing prisoners legal counsel at hearings related to their placement in solitary confinement. The inmates must also be advised of their legal rights and be given private space to speak with their lawyers. Allowing Indigenous elders to visit the segregation units and provide one-on-one counselling to Indigenous prisoners. Creating a review system that requires authorization from a senior official before an inmate can be kept in segregation for more than 15 days. That senior official can't be the head of the corrections institution where the inmate is being held, or that person's subordinate. The court also said the government must begin to open units outside of solitary confinement for prisoners who do not want to integrate into the mainstream prison population, or who are deemed unable to integrate safely. Under the proposed new SIU model, inmates who can't be safely managed in the mainstream population would receive interventions and programs tailored to their needs. They also would be allowed outside their cells for four hours each day (the current rules only permit two hours) and would have access to two hours a day of "meaningful human contact." The new legislation still doesn't include a limit on the number of days an inmate can be kept in an SIU, however — something prisoner rights advocates call unacceptable. "Solitary confinement is unconstitutional when it is indefinite," said Josh Paterson, executive director of the BC Civil Liberties Association. "These conditions don't impose a maximum. Bill C-83 doesn't impose a maximum. So as far as we're concerned, none of this is responsive to that." Paterson said the court ordered "strong direction" on many fronts that will improve the system, but the measures don't go far enough to protect prisoners' Charter rights.